Already for the seventh time LUMAG company will take part in the most prestige automotive exhibition in Europe AUTOMECHANIKA in Frankfurt that will take place from 16th to 20th September. 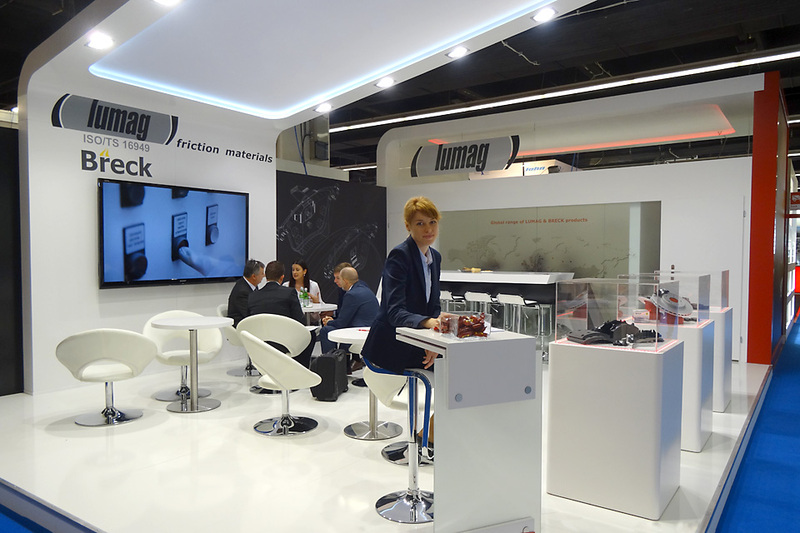 LUMAG has experienced so many changes recently which significantly strengthen its position among the European manufacturers of friction materials. As a guest on our stand, not only you will be able to talk about our products, both LUMAG and BRECK branded, but you will also get a real opportunity to assess our contribution to the friction material development and the benefits that it can bring to your company. Like every year LUMAG company will take part in the biggest automotive event in Poland – “14th Spare parts, tools and garage equipment trade fair” which will be organized on 05 – 07 September. The exhibition will take place on Bemowo-Babice airport in Warsaw. The show will last 3 days, and Friday – 5th September is reserved for press and VIP clients. Almost 170 leading worldwide manufacturers and suppliers of spare parts for PC and CV vehicles will present their offers on 25 000 square meters. As usual the numerous attractions will be provided by the organizer, including “Inter Cars Motors Show”. You are welcome to visit our stand.